A black and white negative of waves from Lake Ontario rolling on to the shore in Whitby, Ontario in January of 1938. 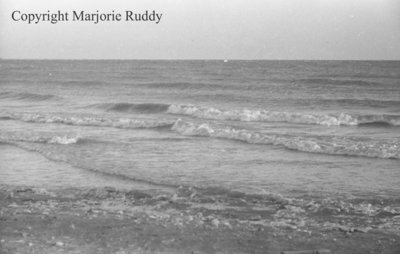 Lake Ontario, January 1938, Marjorie Ruddy. Whitby Archives A2013_040_969A.